ince taking office, President Obama has sent U.S. troops into action on land or in the skies of seven countries on two continents. Obama’s administration has authorized Navy SEALs to kill Osama bin Laden in Pakistan and approved the fatal drone strike on an American cleric in Yemen. Here is a look at targeted killings under the Obama administration. Mansour was killed when a drone strike hit his vehicle as he traveled in Baluchistan, Pakistan. Mansour, known for his mercurial leadership, had been in the U.S. military’s crosshairs for years. He officially took charge of the Taliban in the summer of 2015 after the group acknowledged the death of founder Mullah Mohammad Omar. Buyer's remorse was the refrain in the wake of the June 23 Brexit vote. A narrow 52 percent of British citizens voted to leave the European Union. That is to say 48 percent of the 33 million British citizens who felt compelled to vote believed they were better off staying in the European Union. Such a close vote on such a fateful decision with such global impact naturally yielded disbelief on the island and beyond. Champions of the status quo quickly seized on maps and scatter graphs of the voter breakdown to argue their position: "Of course," several remarked, "it was the uneducated working class that dragged us into this mess." Or, "It was those old baby boomers with their fat pensions who are gambling on the future of the young." Perhaps most interesting is the spreading belief among "remain" voters that enough Brits will come to rue their decision and that, one way or another, British Prime Minister David Cameron's eventual successor will find a way to avoid heeding the call of the nonbinding vote. Then, calm would be restored to financial markets and maybe, just maybe, everything could go back to normal. Many of us (especially those on the outside looking in) see the vote as something of a democratic marvel. With a high voter turnout of 72 percent, the plebiscite empowered the people to decide the fate of the island, and the resulting rancorous debate is a riveting accompaniment to an honest vote. Still, many are flatly uninterested in the democratic virtues of the vote. They argue that people who voted with their emotions, hoping to shun immigrants or to reclaim British sovereignty, will surely rethink their choice once they realize its painful economic ramifications. Given the current state of chaos in British politics, there may well be a political turn of events over these next few months that triggers early elections and widens the divide between the "leave" and "remain" camps before the government begins signing the divorce papers. Modi's Neighbourhood First Policy - Is It Working? If Pakistan is a reason to worry, India’s other neighbours are no less in giving headaches to the policy makers here. Apart from Pakistan, the one country with which India has a long time problematic relationship is China. To add to India’s problems, Pakistan is a major ally of China and combined together they pose a great security threat to India. Indo-Pak relations have been a roller-coaster ride in the past 2 years under the present dispensation. Clearly, the Pakistan problem still looms very high and the Indian government knows it too but it is shying to accept its diplomatic failures. Even before the present government came into power under the leadership of Narendra Modi, India’s foreign policy was a much talked about subject within the Bhartiya Janta Party which was confident of an unprecedented victory in the 16th Lok Sabha elections. As things started to unfold, soon it became clear that the new government would be of an absolute majority after a gap of 30 long years. Under the media frenzy and an unparalleled support of Indian public, Narendra Modi took his oath as the 14th Prime Minister of India at the sprawling forecourt lawns of Rashtrapati Bhawan. It’s a truly special occasion whenever a Prime Minister of the largest democracy of the world i.e India, takes an oath in the swearing-in-ceremony, but this time the situation was much more bigger and magnanimous. The reason was that the heads of governments of all the South-Asian states were invited for the ceremony. The NDA government on assuming office and the defence minister on being appointed have repeatedly expressed the desire to curtail defence expenditure. The perception being that major savings can be effected by cutting out ‘non operational’ assets and structures. Towards this end the recently appointed 11 member committee has been charged ‘to ensure India’s combat capabilities and potential are enhanced, with a better teeth-to-tail combat ratio, within budgetary constraints.’ The objective being to ‘re-balance the overall defence expenditure in view of the escalating salary and pension bills’. Our approach to national security has been political and diplomatic accommodation rather than military. While addressing the top military commanders on board the aircraft carrier INS Vikramaditya, in Dec 2015, the PM wanted the military to be “agile, mobile and driven by technology”. As conveyed publically, it is to cut ‘flab’. While the objective is laudable and desirable, the limited approach of cutting out ‘non operational assets and structures’ may not produce any tangible results and may in fact impinge on the combat capabilities. In pursuance of India’s Act East Policy and demonstration of India’s commitment to peace and prosperity of Indo-Pacific region, Indian Naval ship Satpura arrived at Hawaii on 30 Jun 2016 to participate in the 25th edition of Exercise RIMPAC. Exercise RIMPAC is the largest multilateral naval exercise in the world and is held biennially in the Western Pacific Ocean. Indian Navy’s association with Ex RIMPAC commenced with participation as an ‘Observer’ in 2006, 2010 and 2012. 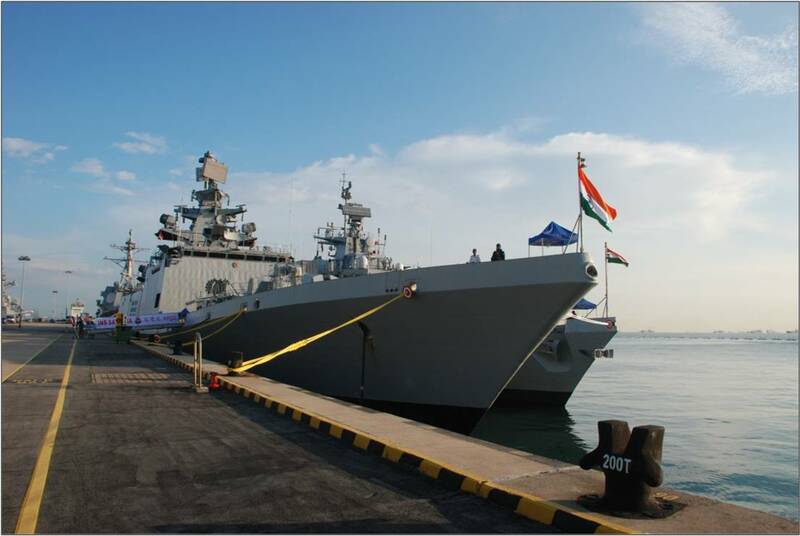 In 2014, Indian Naval participation was enhanced with deployment of Indian Naval ship Sahyadri in the 24th edition of the exercise. The current edition of the exercise is scheduled off Hawaii from 30 June – 04 August 16 and is likely to be attended by 27 countries. Indian Naval participation in Ex RIMPAC-16 provides a platform for multilateral operational interactions aimed at increased interoperability and development of common understanding of procedures for maritime security operations. The professional exchanges in harbour and diverse range of activities at sea, including complex surface, sub-surface and air operations would enable sharing of best practices and honing of operational skills. Indian Naval ship Satpura, an indigenously built guided missile stealth frigate, part of the Eastern Fleet, will participate in the exercise. At the helm of the ship is the Commanding Officer, Captain A N Pramod who is assisted by a team of professional and highly motivated men of the Indian Navy. The date of 24 June 2016 will remain in one’s memory for quite some time. It was on this day that the results of many a diplomatic campaign were announced, to the disappointment of a few, jubilations of others, and a continued silence or a “I told you so” attitude of some. 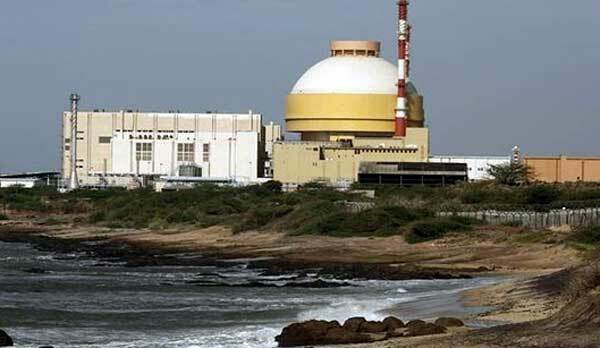 Indian diplomacy supposedly took a beating when its application for membership for the Nuclear Suppliers Group (NSG) was denied on 24 June at the plenary session of the ‘exclusive club’, held at Seoul. Brexit is the informal name given to the referendum held in Britain for its exit from the European Union (EU). The referendum held on the previous day had the results announced on 24 June that a majority in Britain wished to exit from the EU, to the distress of many, not just in Britain, but in the EU and the world as well. The Shanghai Cooperation Organisation (SCO) a small group of Asian nations held its meeting on 23-24 June at Tashkent, where the membership of India was approved. While the membership is important for India, this particular meeting was important, for it was here, on the sidelines of the Conference, that Prime Minister Modi met President Xi Jinping of China to lobby for its membership of the NSG. Until last year, manpower reductions did not figure in Indian military modernisation discourse, though its centrality is well established in revolution in military affairs (RMA) worldwide. Instead, the Indian preference was for the recruitment of more officers and men under the rubric of a two-front war, low intensity conflicts, and the scourge of terrorism. India was the only country amongst great powers not to work on manpower reduction in its military. 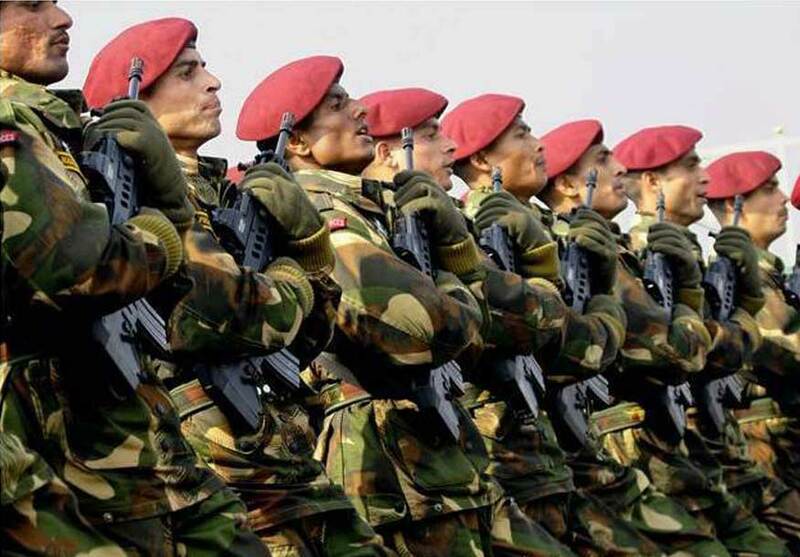 However, taking perhaps the most commendable step in India’s post-independence military reforms, the Government recently announced the high level Shekatkar Committee to rightsize the armed forces and cut extra flab wherever possible. What was the turning point? Undoubtedly, it is Prime Minister Modi’s leadership that impressed upon the armed forces the need to rightsize during his December 2015 address at the combined commanders’ conference. He lamented that, “when major powers are reducing their forces and rely more on technology, we are still constantly seeking to expand the size of our forces. Modernisation and expansion of forces at the same time is a difficult and unnecessary goal. We need forces that are agile, mobile and driven by technology….we should shorten the tooth-to-tail ratio.” Defence Minister Manohar Parrikar also called upon the armed forces to reduce the extra flab on many occasions before commissioning the Shekatkar committee. A key problem that could hamper the Shekatkar Committee’s working is the choice between an in-house approach and sourcing views from outside. It could adopt an in-house approach assuming that outsiders will not know the nitty-gritty of the armed forces. However, even from a layman’s perspective, many reasons exist for manpower reforms in armed forces. First, numbers do not count anymore in the modern military power index. China down-sized the Peoples Liberation Army (PLA) from 4.9 million in the early nineties to 2.3 million, and further declared to reduce it by 3 lakh in the near future. The contemporary emphasis is on educated soldiers fighting a technology-driven war with modern gadgets and machinery. The Indian soldier, representing the rural gentry, is semi-educated and deployed in the traditional warfare system. The endemic problem of corruption in Afghanistan is by no means a new subject. Corruption has been widespread and widely debated in a war-ravaged country that remains in turmoil. According to Transparency International,Afghanistan has a score of 11 on the Corruption Perceptions Index (2015) on a scale from 0 (highly corrupt) to 100 (very clean). Corruption has continued to undermine the credibility of Afghanistan’s government for the last fourteen years. It remains a daunting challenge for the National Unity Government, which will complete its second year in office in September 2016. “The government” in this article refers to the machinery of the state that has been in power for the past fourteen years. Realizing the seriousness of the threat, President Ashraf Ghani had to take an immediate step to at least control corruption related to the awarding of government contracts. Soon after taking office, he established a national procurement commission which he himself chairs. Almost every contract to be awarded by the government requires scrutiny from the commission and endorsement before it can proceed. Oversight over procurement at this level may not be sustainable in the long run. Yet it speaks to the hard truth that the president has no trust in the system, leaving him no option but to be personally involved in the overall process. It is a good short-term mechanism to ensure transparency, but no long-term panacea for controlling corruption. President Ashraf Ghani, who has a worldwide reputation for statesmanship, must surely be working on institutionalizing the procurement procedures. This means eventually phasing out the national procurement commission, allowing more time for the president to work on other issues of national importance and putting in place a system that works without requiring the president to intervene. “No other area except those four districts is under the enemy control now,” Major General Mohammad Afzal Aman, the chief of operations for the Ministry of Defense toldThe New York Times then. On December 28, 2014, the US and NATO formally declared an end to the Afghan war despite an ongoing insurgency. Nevertheless, a treaty was signed by the US to allow for the retention of some troops to serve in an advisory and counter-terrorism role. The reassignment in role began a new phase of the war in which the Afghan forces would lead the fight. Since then, the Afghan government has found itself inept and incapable in defending the country despite more than 14 years of training by foreign forces. President Obama has recently become more active in Afghanistan despite vowing to end the war during his presidential candidacy. First, the newly elected leader of the Taliban was killed by a drone strike and recently, President Obama announced a more involved role for US forces in the country. While many believed the US was slowly withdrawing from the longest war in its history, it appears to be back in the fight. The situation in Afghanistan is as precarious as ever, with the presence of ISIS in parts of the country coupled with a raging Taliban insurgency, the US objective has never been bleaker in the region. It is clear; the Afghan government is incapable of restraining the Taliban militarily or integrating them politically, without the US presence the Afghan government will fall quickly. On the other hand, the US cannot perpetually sit in Afghanistan to fight the Taliban because neither time nor money is on their side. RECENT PRESIDENTS of both parties have agreed that the United States has vital interests in the Middle East. But the region has become extraordinarily turbulent. Civil wars rage in Syria, Yemen, Iraq and Libya, where central authority and state structures have broken apart. Various regional powers are intervening in these wars, many of which serve as proxy contests between Iran and Saudi Arabia. America is fighting a war against ISIS in Iraq, Syria and, increasingly, Libya. Russia has intervened in the Syrian Civil War. The chaos convulsing the Middle East concerns the United States but is deeply rooted in local factors—in the failure of Arab governance, regional rivalries, and sectarianism and identity politics run amok. Alas, the last fifteen years have demonstrated the limited ability of the United States to bend these historical forces to achieve its preferred outcomes of peace, prosperity, security and better governance in the region. Confronted with this clear mismatch between American aspirations and capabilities, some experts are calling for a partial U.S. disengagement from the region, while others want to double down on existing U.S. commitments. Most agree that nonmilitary tools of statecraft are important to protecting American interests and that the United States should continue to use them to address the political, economic and social drivers of instability. The main fault line in this debate focuses heavily on the role of military force in U.S. strategy for the region. The strategic stability of South Asian landscape revolves around the corollary of nuclear deterrence. The stable or unstable deterrence influence the security dilemma, nuclear threshold, regional asymmetry, nuclear employment and peace accordingly. Pakistan and India experienced the effectiveness of nuclear factor and strategic equation in the region since 1998. However, few recent developments in the region has put the nuclear optimist assessment about the nuclear weapon’s impressive contribution and impression of deterrence equilibrium in constructing strategic stability, under stress. In nuclear factor, not the number of nuclear weapons but their credibility and survivability matter unless influenced by other features having direct relevance with deterrence like transition in military doctrines, Ballistic Missile Defense (BMD) system, Multiple Independently Targeted Reentry Vehicles (MIRVs) and assured second strike capability. Thus status quo remains stable if strategic equilibrium is in play; the concept of mutual destruction functions and the nuclear opponents has reciprocal annulment of options for war at any level. This piece aims to specifically analyze the recent Indian test of supersonic interceptor missile in pursuit of full-fledged and multi-layered BMD system in a strategic environment which is greatly complex, unstable and unpredictable. China warned Obama, on lifting his arms embargo of Vietnam, a historical move given the recent geopolitical situation in South China Sea. This came a day after the US lifted a decades-old arms embargo on Vietnam. Obama becomes the third American president to visit Vietnam since the end of the war in 1975 and his three-day trip is known as an attempt to prop up Vietnam as a balance against China. While he did not mention China by name, his speech was meaningful. It is an interesting situation, where the American administration continues to avoid directly challenging China, but is vocal about acknowledging Chinese dominance in Asia. Infact, that is the heart of the debate inside Washington foreign policy community, that whether China enjoys dominance in Asia, or whether it enjoys supremacy. Both are different and both will logically have different policy prescriptions. United States is wary of challenging China directly, as no great power wants to be locked with another great power in a downward spiral, for as long as they can avoid it. Unless there is a complete deterrence failure, which thankfully is not the case for either China or America, there are no chances of a clash or even a spiral. To add to that, trade between China and US is still robust, and if Hillary Clinton wins, it will continue to stay robust. 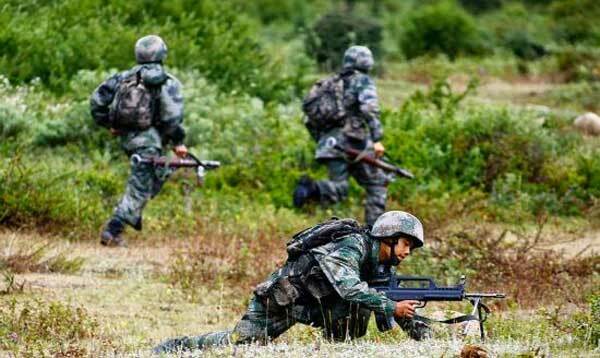 China: Disquiet in the PLA? A recent article in the Peoples’ Liberation Army’s (PLA) flagship newspaper, The Liberation Army Daily (LAD) underscored the point that political correctness supercedes all else. The article was republished by other top official news media such as The people’s Daily, which is the mouthpiece of the communist party, and a gist of the critical elements of the message was posted on the internet. The article discussed the directions of army administration under the new leadership. On 29th May, the CMC published a compilation of selected speeches made by Xi Jinping between Nov 2012 – Nov 2015 on military reform. The CMC stated that the compilation “epitomizes President Xi’s most important strategic thoughts on military reform,” and “provides a strong idealogical guarantee and strong spiritual motivation for the reform and military build – up.”This compilation, essentially “Xi Jinping’s Thoughts on Military Reforms” is compulsory study for all military personnel. Ahead of an imminent ruling by an international tribunal in The Hague over a case brought by Manila concerning China’s claims to the South China Sea, state-owned China Central Television (CCTV) ran a video on June 21 to highlight Beijing’s argument. The video (sanctioned by the Chinese Central Propaganda Department, or Central Publicity Department in English) was shared by CCTV on Weibo, China’s widely popular microblogging site. The video seemingly attempts to rally domestic support in advance of the ruling from The Hague, and follows a fairly unsuccessful attempt to rallyinternational support for their maritime territorial claims under a self-proclaimed nine-dash line, or “cow’s tongue.” Through the use of English subtitles, this latest effort at propaganda is not only determined to convince its citizens, but others in the English-speaking world, that its claims to 90 percent of the South China Sea are based on historical facts and deserve respect. PARIS — When the bodies of Islamic State fighters are recovered on the Syrian battlefield, the passports found on them have often been stamped in Turkey, which thousands of recruits pass through on their way to join the terror group. Fighters who call relatives abroad often do so using Turkish cellphone numbers, and when they need cash, they head to Western Union offices in southern Turkey, according to court and intelligence documents. From the start of the Islamic State’s rise through the chaos of the Syrian war, Turkey has played a central, if complicated, role in the group’s story. For years, it served as a rear base, transit hub and shopping bazaar for the Islamic State, and at first, that may have protected Turkey from the violence the group has inflicted elsewhere. Now, the Turkish government and Western officials say the suicide bombings at Istanbul’s main airport on Tuesday bore the hallmarks of an Islamic State attack, and they have added them to a growing roll call of assaults attributed to the group in Turkey in recent months. Analysts said Turkey was paying the price for intensifying its action against the Islamic State, also known as ISIS, ISIL or Daesh. Under mounting international pressure, the country began sealing its border last year, as well as arresting and deporting suspected militants. And last summer, Turkey allowed the United States to use Incirlik Air Base to fly sorties over the group’s territory in Syria and Iraq. The unexpectedly swift victory in Fallujah by the American-backed Iraqi military is prompting U.S. officials to ask new questions about the true size of the Islamic State group’s fighting force. After the five-week battle in Fallujah ended Sunday, Iraqi estimates suggest the Islamic State group suffered more than 1,000 casualties and the Iraqi military detained another 1,000 extremists, said Army Col. Chris Garver. That will be hard to replenish. The estimated flow of foreign fighters heading into Iraq and Syria to join the ranks of the Islamic State group has dropped from more than 2,000 fighters a month last year to current estimates as low as 200 per month, Garver said. Officially, the U.S. intelligence community estimates the number of Islamic State militants at somewhere between 19,000 and 25,000, a figure last updated in February. Now, as the focus of the counter-Islamic State effort shifts toward the militants’ stronghold in Mosul, U.S. military officials in Baghdad are drawing up some new estimates for the size of the Islamic State force, also known as ISIS or ISIL. Trump vs. Hillary: Who's Better for Iran? The U.S. presidential election and its outcome will greatly influence the fate of many nations, in particular those in the Middle East. Consequently these nations, their political leaders and their people are closely following developments here in the United States. Iran is no exception, especially since all the major candidates have spoken repeatedly about Iran. The question that many Iranians are asking is which candidate, Donald Trump or Hillary Rodham Clinton, will be better for Iran in terms of bilateral relations between the two countries? (EurActiv) — Boris Johnson has underlined the truth of the dictum “He who wields the dagger never wears the crown.” Johnson destroyed the career and place in history of his fellow Old Etonian David Cameron. If Lord North in the 18th century was the Prime Minister who lost America, David Cameron in the 21st century is the PM who lost Europe. Following Boris Johnson’s decision to exit the contest to become Britain’s next prime minister, the front-runner is Home Secretary Theresa May. The principal role of whoever becomes Britain’s next prime minister will be negotiating with the EU. After 10 years she is now the most experienced interior minister in Europe and has proved highly influential in justice and home affairs policies. She has recently secured agreement for a new Europe-wide database logging passenger information for all flights in and out of Europe. Although a professed Eurosceptic it was little surprise when she announced she was backing the remain in Europe campaign. In an earlier life she was a Brussels lobbyist for the Association for Payment Clearing Services for six years and is very much at home trying to secure what she wants in Europe. The situation in Burundi is a terrible example of what can happen when politics goes wrong. A year-long crisis has seen violence and alarming human right violations across the country, which is much worse than most people realise. The total number of fatalities is often reported as being around 450, but detailed analysis indicates that at least 1,000 have been killed. More than 250,000 people have fled the country. Why has this happened? The immediate trigger was the decision by President Pierre Nkurunziza, who had already served two terms in office, to stand for a third term in the July 2015 elections. He had previously spent 2005-2010 and then 2010-2015 as head of state. Nkurunziza argued that because he was nominated by Parliament the first time round, it did not count. Burundi’s constitutional court, allegedly under duress, agreed with him, but many others did not – and took to the streets to demonstrate. The government clamped down hard on the protestors, and the situation deteriorated after a failed coup d’état in May 2015. Since then, Burundi has seen waves of violence targeting ordinary citizens and security forces across the country, not least in the capital, Bujumbura. Trump's Foreign Policy: America First. Hillary's: America Last. “Dangerously incoherent.” “Bizarre rants.” “Outright lies.” “Temperamentally unfit.” “Not someone who should ever have the nuclear codes.” Such were the phrases employed by presumptive Democratic nominee Hillary Clinton in describing her Republican opponent Donald Trump’s foreign-policy vision for the United States, in a speech delivered earlier this month. Throughout the speech, Secretary Clinton echoed nearly every neoconservative criticism of Trump that at times it almost seemed as if someone in her bloated staff had merely copied and pasted an article right out of the Weekly Standard onto the teleprompter. Be that as it may, the speech was predictably well received from a national press bitterly hostile to Mr. Trump’s unorthodox candidacy. After his own high-profile foreign-policy address at the Center For the National Interest in April, the New York Times editorial board—a paragon of foreign-policy wisdom—offered a scathing review, accusing Trump of peddling “outright falsehoods, often based on wrong assumptions.” Yet, in a world after the Paris, San Bernardino and Orlando attacks, are Trump’s assumptions all that wrong? More broadly, is his foreign-policy vision as “dangerously incoherent” as Secretary Clinton would lead us to believe? Is Brexit a Chance to Heal Europe's Wounds? Gorbachev was ahead of his peers. Europe was in the grip of fear. After 1979 rhetoric escalated across the divided continent: the Soviet invasion of Afghanistan, martial law in Poland and rattling of nuclear missiles on both sides of the Iron Curtain comprised a grim political climate. Gorbachev’s reminder of the civilizational unity of Europe—“Europe from the Atlantic to the Urals,” as Charles de Gaulle once described it—cut right through the divisions: the East versus the West, the Warsaw Pact versus NATO and socialism versus capitalism. For Gorbachev, Europe was not just the most important partner of a reformed Soviet Union; it was a destination.